A cross that somehow remained intact after the devastating fire at Notre Dame Cathedral has become a symbol of hope for France. 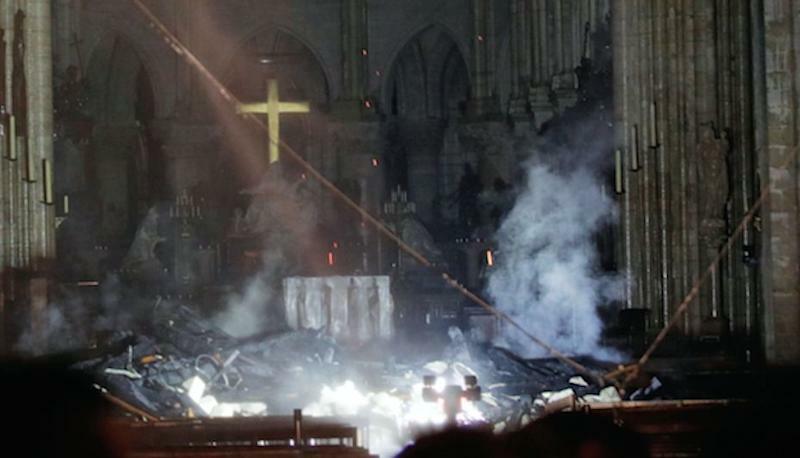 The crucifix at the altar of the cathedral in Paris stood tall despite the blaze which ravaged the building on Monday. 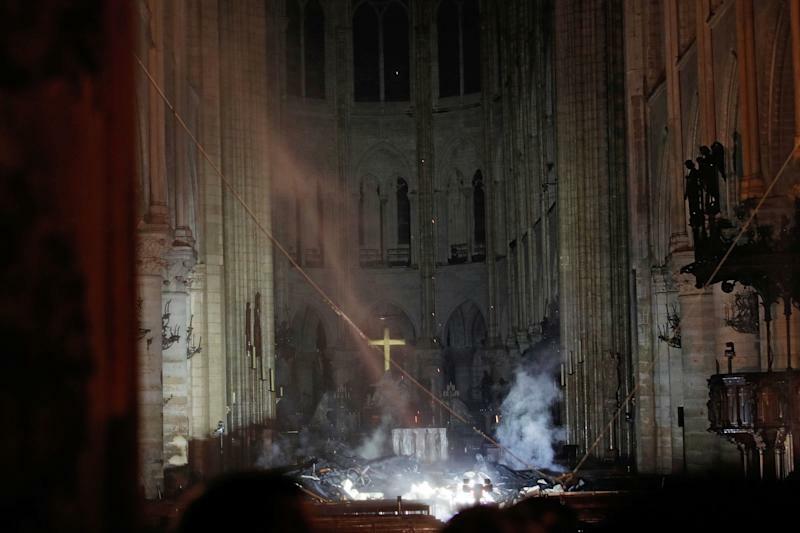 The ‘miracle’ cross was captured on camera by the first photographers allowed inside the structure after the fire. 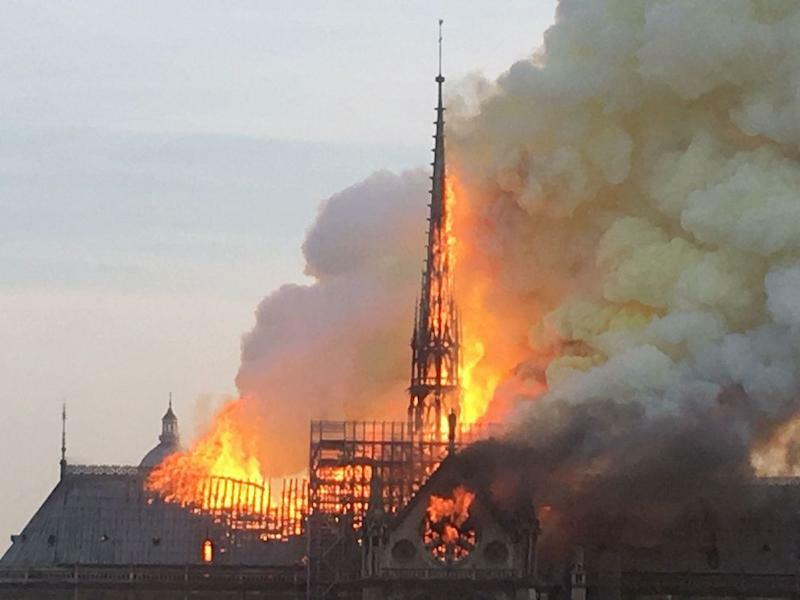 A smouldering pile of what appeared to be the charred remains of the roof and spire lay smoking in front of the altar, while the cross that escaped destruction glowed from within the gloom. The cause of the fire is not yet known but officials say it could be linked to renovation works on the 12th century cathedral that were underway. The fire was declared under control nine hours after it broke out. 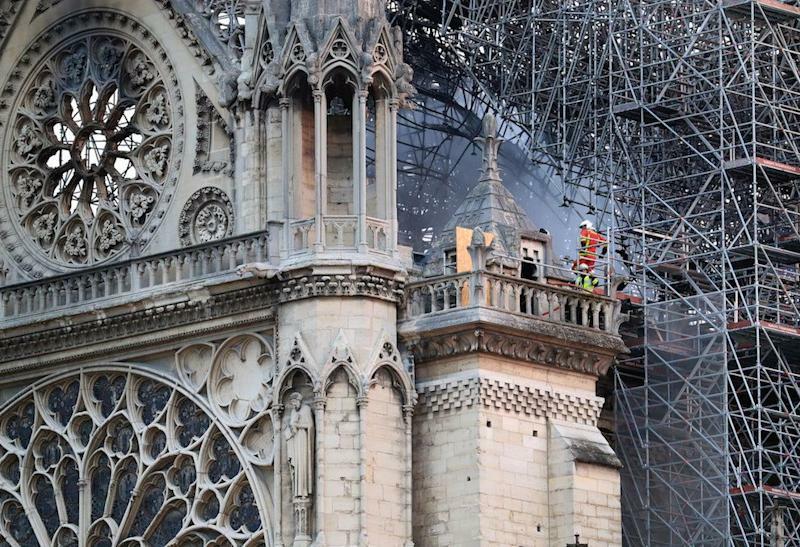 The spire and the roof collapsed, but firefighters managed to save the main stone structure, including two towers. One firefighter was injured and it is expected to take several days to fully extinguish the blaze. French president Emmanuel Macron has vowed to rebuild the medieval cathedral. During a visit there on Monday evening, he said the fire was a “terrible tragedy” but “the worst had been avoided”. 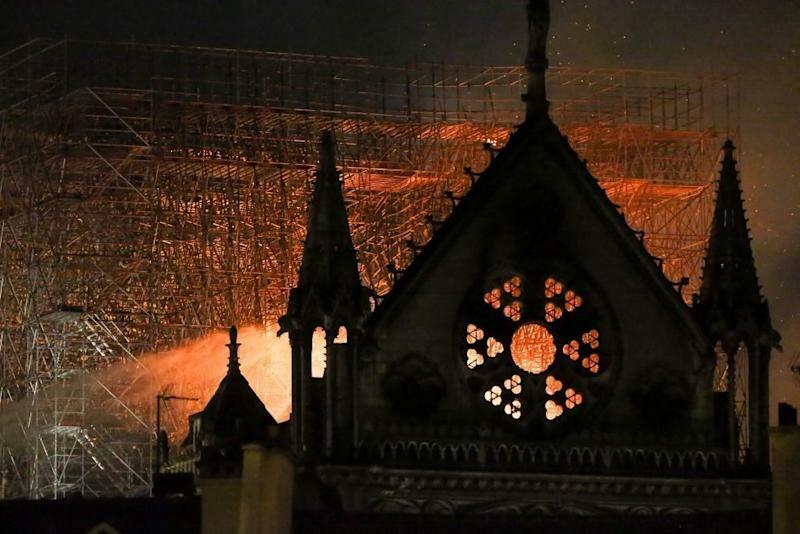 The fire started at about 6.30pm local time on Monday and spread to the roof, destroying stained-glass windows and the wooden interior before the spire collapsed.